What’s Taking So Long? Is it Yelp’s Fault? The Yelp button no one wants. Thanks Photoshop! I have done a lot of complaining both online (here and here) and offline about restaurants that take way too long to open. Every time the news breaks that a new bar, restaurant, coffee shop etc. is coming to Alexandria, the owner sets an approximate opening date. “Before Christmas,” they say. Or “early spring,” another promises. The store front is renovated, the “help wanted” sign goes up, everything appears to be ready…. but why is it not open!? The promised opening flies by and anticipation turns into irritation. I proposing a theory. I know nothing about running a restaurant, but it’s America, and I can spout off my unfounded ideas if I want to. I’m blaming it on Yelp. The website and mobile app has alerted me to countless new dining options, weened me off guidebooks and helped this chronically indecisive diner figure out what to order. However, I now think it’s time for it to shoulder some blame. It is difficult to believe (read my skepticism here), but Del Ray’s Pork Barrel BBQ is finally opening. Tonight! But I read it on the Internet, so it must be true. Get the details (and watch a video) here and here. ﻿﻿﻿﻿Their 500lb-capacity “Southern Pride” smoker’ll be spitting out 12hr brisket, 10hr pulled pork, and 5hr chicken and spare ribs (plus sausages, but their cook time is unimpressive), all of which can be served by the pound, in sandwiches, or plated with sides like smoked mac & cheese. Well, with Pork Barrel opening, I guess I’m going to have to find a new Alexandria restaurant to obsess over. There’s always the Evening Star Cafe renovation. According the website, that is due to reopen any day now. Famous last words! 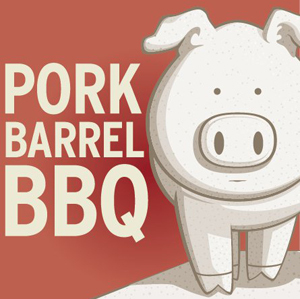 Is Pork Barrel BBQ finally opening? As someone who obsessively watches my neighborhood restaurant scene, the maddeningly slow construction of 2342 Mt. Vernon Avenue frustrates me to no end. The building crews broke ground soon after I moved to my old apartment in Del Ray. 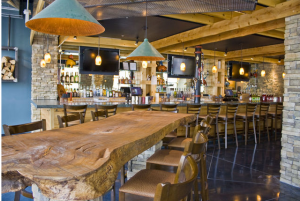 Rumors had it that Pork Barrel BBQ was opening at the end of summer, then by Christmas, then by Memorial Day, then by late fall, then by spring…. until I’ve been waiting two years now. I’ve managed to get married and buy a house in nearby Huntington in the time that crew has installed flooring and light fixtures. But for Alexandria BBQ fans there is a new, promising development! The restaurant finally appears complete, and a call went out on the Del Ray community association board for staff. They are hiring, say the restaurant owners. But as everyone who has ever looked for a job knows, the hiring (and training) process can be maddeningly slow. While I want to imagine myself eating a pulled pork sandwich with a jazzy version of “Deck the Halls” playing the background, I also don’t want to get my hopes up. So here’s to, um, “early spring”!